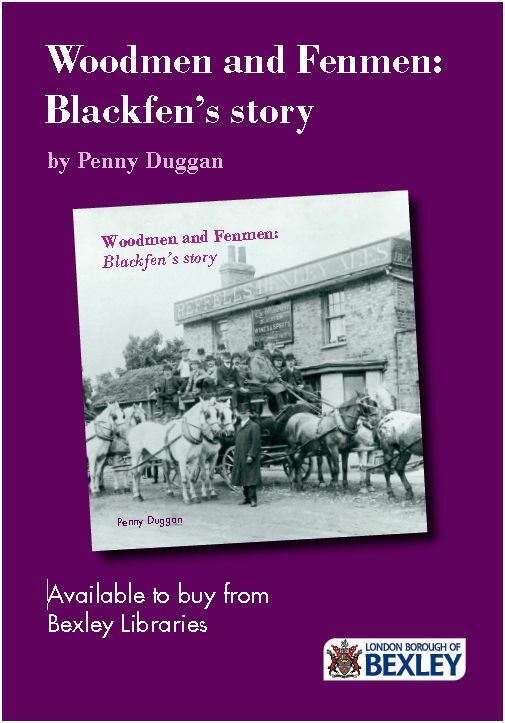 ‘Then & Now’ photography is a good way to look at Blackfen and see how much it has (or hasn’t) changed over the years. Chapel House in Blackfen Road c1900 (Penhill Road is on the left) and in 2010, now at a busy roundabout. Blackfen Library in Cedar Avenue in 1949, and the same view in 2010, now housing. An accident at junction of Westwood Lane and Rochester Way, late 1930s (note the pedestrian crossing). The view today (2015) is mostly obscured by the widened A2 but the top of the crescent-shaped Woodman Parade can still be seen.